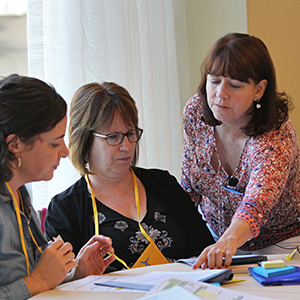 The Wilson® Certified Teacher Conference was created exclusively for WRS Level I and Level II Certified educators who are dedicated to expanding their knowledge and practice. Learn “big picture” research and theory about significant educational topics from leading experts, including Barbara Wilson. Strengthen your instructional skills in interactive small-group sessions led by master educators who understand teachers’ challenges. 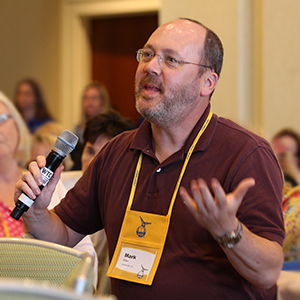 Re-energize your passion for teaching by connecting with a community of WRS-certified peers and exchanging ideas. The Wilson Certified Teacher Conference is held every other year, with the next event scheduled for July 13-14, 2020 (see below for details). This conference offers a wonderful opportunity for teachers to share their Wilson experiences and gather information relevant to their unique needs, which they then can put into practice with students. View our story and video highlighting Wilson’s 2018 conferences to get a taste of this exciting event! New Professional Learning Opportunity – Limited Time! 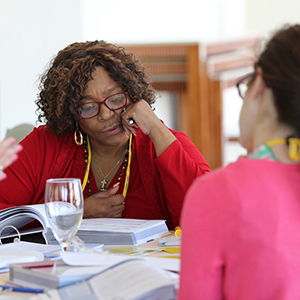 Due to unprecedented response to the 2018 Conference for Wilson Certified Teachers, we are offering WRS 4th Edition Institutes to provide an in-depth, hands-on professional learning opportunity focused solely on the new edition. Learn more about the WRS 4th Edition Institute topics and schedule for 2019. Save the Date for Summer 2020! The Seaport Hotel & World Trade Center provides welcoming service in Boston with all the amenities to make you feel at home. 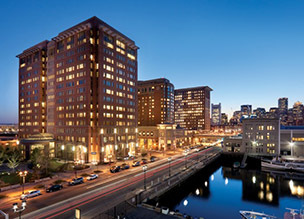 Located on the waterfront in the bustling Seaport District, it offers you stylish, luxury accommodations with dazzling city and harbor views, plus incredibly convenient access to all major points of interest. The Seaport’s caring extends to its environmental program, earning it recognition as one of the greenest hotels in North America.